Your vaporizer should be like a badge of honor, something that reflects your sense of style. With the SMOK ROLO Badge Kit, you can stand out from the crowd and easily enjoy a satisfying vaping experience wherever you travel. 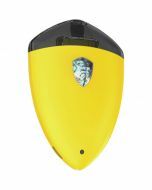 The kit provides the SMOK Rolo Badge Mod, two refillable cartridges, a refillable needle bottle and a micro USB cable. 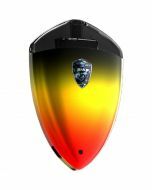 Shaped like a badge, the SMOK ROLO Badge Pod System Starter Kit fits easily in your hand. The ergonomic contours make the vape easy to carry, and the thin case allows the mod to be conveniently carried everywhere you go. The box mod measures 73.3 millimeters by 50 millimeters by 12 millimeters in size and features a durable zinc alloy and polycarbonate case. You can choose from a rainbow of colors to suit your tastes. With an integrated 250 mAh battery, the SMOK ROLO Badge Kit is ready for long vaping sessions. The mod operates with a power output of 10 to 16 watts, automatically adjusting its performance to give you large clouds of smooth, flavorful vapor. Recharging the vape is easy with the included micro USB cable. An LED indicator light lets you know when it's time to plug in. The SMOK ROLO Badge Kit is incredibly easy to use. When you're ready to vape, you simply draw from the top. There are no settings to worry about or fire buttons to click. Vapor flow starts with your breath and stops when you're finished with your hit. 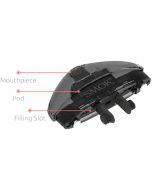 Featuring a 2-milliliter refillable pod cartridge system, the SMOK ROLO Badge Kit is simple to fill. 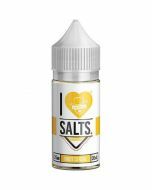 A needle bottle is provided, so you can dispense e-juice or your favorite nicotine salts e-liquids directly into the removable cartridges. The SMOK ROLO Badge Kit is designed with your safety in mind. After 8 seconds, the draw cuts off to reduce the risk of overheating. Plus, the mod features low voltage and short circuit protections. Experience the next evolution in vaping convenience. Order the SMOK ROLO Badge Kit and benefit from a sleek design and easy, draw-activated system.